My fees are reasonable, and if needed, a payment plan is usually available. I accept all forms of payment including credit, debit, and personal checks. I am well respected by the judges and prosecutors in the Pasadena and Los Angeles Superior courts. 5-star client reviews on Yelp, Google, and Avvo. Unlike large firms, I will personally handle your case. I provide compassionate and experienced DUI and Criminal Defense. 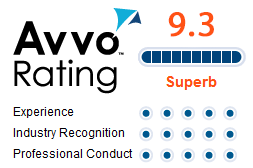 See Client Testimonials on Yelp/Google/AVVO. If you or a loved one has been arrested or charged with a crime in the City of Pasadena, or in the surrounding Los Angeles County, speaking to an experienced and compassionate criminal defense lawyer is the first step in getting the help you need. Until it has happened to you or a loved one, no one can really understand how it feels to be arrested for a crime. It is a traumatic experience that can have dire consequences on your job, career, professional license and even your freedom. Criminal and DUI defense attorney Ann Gottesman is dedicated to protecting her clients’ constitutional rights, reputation and freedom. Ann will really listen to you, treat you with compassion and provide you with a free consultation so you can make the right decision about what to do next, and not act solely out of fear and desperation. Whether you are facing DUI charges or criminal offenses such as Drug Possession or Sales, Assault, Petty Theft, Shoplifting, Fraud, Domestic Violence or some other criminal violation of the law, don’t just wait until your court date to start preparing. Hiring a good criminal defense lawyer NOW will lessen the chance of surprises on your arraignment! Driving Under the Influence “DUI” Arrest: What Should You Do First? Since DUI law is a specialized area of criminal law, it is important you contact a defense lawyer who has a lot of experience representing those accused of driving under the influence of alcohol and/or drugs. This means the attorney should have extensive knowledge and experience in representing clients at the DMV’s “APS” (Administrative Per Se) hearing. This DMV hearing will determine with the accused will face suspension of their driver’s license. In addition, there are technical defenses that a DUI lawyer will want to investigate with respect to the criminal case in court. Attorney Ann Gottesman is an active member of the California DUI Lawyers Association, and has successfully represented many clients accused of Driving Under the Influence of alcohol and/or drugs. Protecting your driver’s license and avoiding jail time are one of the most important goals in a DUI case. In DUI cases, time is of the essence when hiring a defense lawyer because you only have TEN DAYS from the date of your arrest to request an in-person APS Hearing and an extended temporary license! DUI Attorney Ann Gottesman knows the DMV hearing officers in Los Angeles County and has worked with the same hearing officers for years. She will fight to protect your driver’s license and investigate every possible defense. If the driver never requests an APS hearing with in the ten-day window, and his or her level is above the legal limit, then the DMV will automatically suspend the license for the appropriate period after the 30 day initial temporary license expires. Your DUI lawyer will contact the DMV on your behalf and request a hearing, a temporary license and the evidence, as long as you have not missed the ten-day period. In some cases, if there is a very good reason why you did not contact the DMV to request a hearing within the 10 day period, an attorney can request a “late hearing”, in which case the DMV office manager will decide whether to still allow you to have a hearing, despite your failure to call within the required period. If you have a DUI and need to request a hearing, contact attorney Ann Gottesman for a free consultation. If you are facing misdemeanor or felony charges, hiring a good lawyer is very important. Your freedom, reputation and criminal record are in jeopardy when facing the possibility of a criminal conviction. Attorney Ann Gottesman, an experienced and caring defense lawyer, can fight to protect your rights and help achieve the best possible outcome in your case. Sometimes innocent people are arrested and accused of a crime because of mistaken or untruthful witness statements, or simply for being at the wrong place at the wrong time. For example, if a friend commits a crime such as shoplifting or burglary, and you happen to be present, you may not have even been aware of what your friend did, and yet police may assume you are an accomplice. Or, in a situation of domestic violence, the angry spouse may falsely accuse the true victim-spouse of initiating the violence or committing a battery or assault that never occurred. Even in DUI cases, officers oftentimes suspect a driver is over the legal limit even if his or her alcohol level was under the limit of .08 BAC at the time of the driving. Of course, issues concerning the accuracy of a breath or blood test and whether officers complied with the constitution when obtaining the chemical test evidence are also factors that will determine whether a driver will ultimately be convicted or exonerated for driving under the influence of alcohol or drugs. Despite what many people may think, even if you did experience a lapse in good judgement and admitted your wrongdoing to police, that does not mean you have to plead guilty! There are many reasons why an accused should not plead guilty, even when it may appear that the evidence against the accused is strong. The law requires the police to do their job properly, and that requires they not violate your constitutional rights. For example, if an officer stops your vehicle with no reasonable suspicion and then during your detention, discovers you are driving under the influence of alcohol and drugs, and are legally impaired, a Judge should rule that the initial detention was in violation of your Fourth Amendment right to be free from unreasonable searches and seizures. Similarly, a driver in a DUI case may be legally stopped and arrested, but if there was no actual consent to a blood test and no warrant was obtained by the officer, a Judge should also find that the blood was seized in violation of the driver’s constitutional rights under the 4th Amendment of the United States Constitution. When a search or seizer is found to be unconstitutional, the evidence that was obtained from that unlawful search or seizure (referred to as the “fruit of the poisonous tree”) would be suppressed. With rare exception, suppressed evidence cannot be used by the District Attorney to prosecute you, and thus, winning a motion to suppress evidence can oftentimes result in the dismissal of the case. Without a good criminal or DUI defense attorney by your side, it is easy to become lost in the bureaucratic nightmare of a criminal case. You do not, and should not, have to face the government by yourself. Call attorney Ann Gottesman for a free consultation. 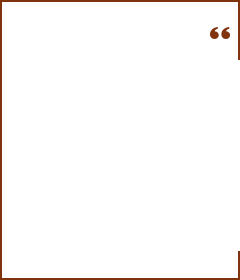 She is compassionate, experienced in DUI and criminal law, and personally fights for her clients. What to Do If You Are Arrested or Charged With a Crime? Most police and detectives are not out to exonerate innocent people wrongly accused of a crime. Their job is to get as much evidence against you as possible, and by any legal means necessary. Such evidence includes verbal and written statements made by the accused or witnesses. Sometimes, a police officer will pretend to be your friend or a “nice guy” to get you to talk, and other times the officer may act in an intimidating and angry manner to try and scare you into making incriminating statements. The best policy is to always demand an attorney and refuse to make any statements without your attorney present. Know your constitutional rights because police officers won't usually tell you! As soon as possible after being arrested, you should contact a local and respected criminal defense attorney. Ann is known to be a compassionate, aggressive and knowledgeable DWI and criminal lawyer who is dedicated to defending those facing DUI charges, as well as many other kinds of criminal cases, including assault, drug possession, theft and domestic violence offenses. AT the Law Office of Ann Gottesman, Ann believes that a person should not have to fall into deep debt or take out a second mortgage on one’s home in order to afford a knowledgeable criminal defense attorney who will provide personal attention. Located in Pasadena, California, Ann handles criminal cases in all the Los Angeles criminal courts. As a result of her years of practice in the Pasadena area and Los Angeles courthouses, she knows the prosecutors and Judges and works with them on a regular basis. Being familiar with the court personnel, Judges and prosecutors is vital to achieving the best possible results in a criminal case. If you are facing criminal charges, you will certainly benefit from being represented by a criminal defense lawyer who is local to the courthouse your criminal case is assigned to. Hiring a lawyer in Santa Monica or Beverly Hills to represent you in Pasadena or Alhambra Superior Court is not the best option. A local criminal law attorney will be familiar with the judges and prosecutors in the court and will have knowledge that out of town lawyers just don’t have. "As a former Deputy Public Defender, I am passionate about standing up for the rights of the criminally accused. Don't get railroaded by the system! The police and the District Attorney have only one goal--to see you convicted! I know the District Attorneys and Judges in the Pasadena and Los Angeles Courts and my professional rapport with these people allows me to achieve the kind of results for my clients that a non-local attorney usually can’t achieve." When you hire the Law Office of Ann Gottesman, you are hiring ME, Ann Gottesman, a dedicated DUI lawyer and Los Angeles criminal defense attorney to personally handle your criminal case. I won't hand your case off to an inexperienced associate, like many large firms do. If I can't personally handle your case, then I won't take your case. "My clients know that I meticulously prepare for each case and I can usually appear in court without the client having to be there. When I am retained, I immediately subpoena all discovery, including the police report, calibration logs (for a DUI), police dispatch logs, belt recordings, witness statements, lab results, etc… Also, unlike many other Los Angeles and Pasadena criminal defense attorneys, I make myself available to my clients 7 days a week and I’m always happy to receive my clients’ phone call or questions. My clients don’t walk around with any unanswered questions because I am always ready to explain, investigate and resolve any issues a client may have with regard to his or her criminal case." DUI Defense and Criminal Law attorney Ann Gottesman handles DUI case and misdemeanor and felony criminal matters in all of the following courthouses. She appears in these courts frequently, and therefore, is very familiar with the prosecutors and Judges: Pasadena Superior Courthouse, Alhambra Superior Court, Glendale Superior Court, El Monte (Rio Hondo) Superior Court, West Covina Superior Court, Pomona Superior Court, East Los Angeles Courthouse, Burbank Superior Court, Van Nuys Superior Court, Downey Courthouse, Norwalk Court, Compton Court, and San Fernando Courthouse. Ann Gottesman has dedicated herself to providing personal attention and strong legal guidance to her clients. When your freedom, job, reputation and sanity are at stake, call Ann for a free and absolutely confidential consultation regarding your case at 626-710-4021. 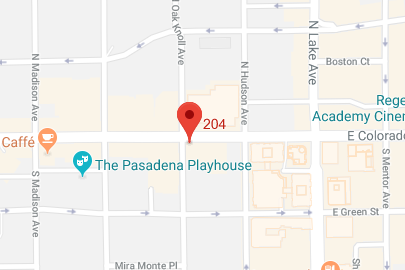 Pasadena Superior Court: The Court in Pasadena is located at 300 E. Walnut Street in Pasadena, California 91101. It is right across the street from the Pasadena Public Library and also near the Pasadena Police Department. Pasadena Court has courtrooms assigned to hear felony and misdemeanor cases, including DUI cases and other criminal offenses, family law and restraining order cases, and traffic infraction offenses. Pasadena Police Department: Police officers from Pasadena Police Department enforce DUI and criminal laws within the city of Pasadena. They oftentimes patrol the Old Town area on weekend evenings looking for impaired or drunk drivers. Altadena CHP Officers also conduct DUI patrol and enforce the traffic and criminal laws in Pasadena. Pasadena Public Library: The library is open to the public and a great place to do legal research or to just browse the shelves. There is a café in the courtyard as you walk in through the entrance on Walnut Avenue. Pasadena City Prosecutor: The City Prosecutor in Pasadena is responsible for filing and prosecuting DUI charges and other misdemeanor criminal offenses in the City of Pasadena. If the crime occurred within the city limits of Pasadena, then the prosecutor’s office will have the jurisdiction to file or not file criminal charges. If the crime occurred outside the city limits or if the crime occurred in Pasadena but is a felony, then the Pasadena District Attorney will have jurisdiction over the case. Pasadena Police Checkpoint and DUI patrols: The Pasadena PD makes it known that they are out in full force looking for people who drink and drive impaired. Often times, a very minor traffic infraction such as a burnt out tail light will be the reason for the initial encounter with a Pasadena Police officer. Knowing your rights and what you must do and what you are not required to do (and should NOT due!) is very important. For example, performing field sobriety tests and providing a PAS (Preliminary Alcohol Screening Test) is optional and typically results in self incrimination. Even answering an officer’s questions about what you drank, where you consumed alcohol, etc… is not mandatory. The only mandatory test you must take is a chemical test such as a breath test, blood test or urine test AFTER you are arrested. If you are on probation for a DUI or under 21 years of age, then you would be required to take a PAS test. For more detailed information, see the DUI related pages on this site and call Ann Gottesman for a free consultation. For the past twelve years I have helped over a thousand clients get through one of the darkest times in their life. Being criminally accused affects a person’s livelihood, reputation, family, and sometimes one’s freedom. I appreciate the kind words many of my clients felt comfortable posting publicly online. Please visit my Yelp, Google and AVVO pages to see what my previous clients thought about my service. I became a criminal defense lawyer because I wanted to help good people who found themselves entangled in the justice system and needed someone to protect their constitutional rights and defend their freedom from an oftentimes over-reaching government. Unlike large firms, I personally handle each client and I am personally dedicated to every case. If I can’t promise to put 100 percent effort into a case, I won’t take the case. Large firms will never turn away a case because money is the bottom line. For me, my primary goal is to help a client, who initially feels scared and helpless, by passionately defending them in court and using my experience and legal knowledge to achieve the best possible result in their case. She is a sweet caring woman who worked hard to help me. I could not have asked for a better outcome on my case. Ann knows her stuff and took the time to explain things to me. I am lucky I found her and forever thankful. I will forever be grateful & thankful for all her hard work ,time & dedication... She saved me!! I would recommend her services to anyone and she would be representing me again if I ever needed legal assistance. Amazing criminal defense attorney who fought for me and really showed caring for my case and ME as a human being! Ann is very attentive and will go out of her way for her client. Her compassion for her clients really shines! Her knowledge of criminal law far surpasses that of most California attorneys. She saved my license and my job. I highly recommend Ann to anyone looking for a good criminal defense lawyer! In California, driving under the influence of alcohol or drugs, or a combination of drugs and alcohol is criminalized behavior addressed in Vehicle Code sections 23152(a) through (g), 23153, 23154, and other statutes. While driving under the influence of alcohol or drugs is illegal, so are other related behaviors, such as refusing to complete a chemical test, and driving with any alcohol in your system if you are under 21 years of age or if on DUI probation. There are a lot of technical and legal issues that can arise in a DUI or related case. Issues concerning the reliability and accuracy of a breath machine, breath test result or blood test can arise if the equipment is not properly maintained, if the police officer or technician does not properly administer a chemical test or maintain the machine, if the blood is not properly stored, or if the officer or blood drawer lacks proper training. In some DUI cases, legal issues arise due to constitutional violations, lack of voluntariness, health issues, and more. The minimum and maximum sentence for a DUI is dictated by statute but an accused’s actual sentence, if convicted, will depend upon the facts of the case, a person’s prior criminal record, the specific charge, the strength or weakness of the evidence and other factors. The level of rapport your attorney has with the prosecutor and judge can also play a role. Ultimately, in a Dui or any criminal case, an accused will either have their charges dismissed by motion, or lack of evidence, or the case will resolve with either a negotiated disposition (a plea deal) or a jury or court trial. A good DUI lawyer will know what constitutional and other legal issues apply, and ultimately whether a trial or plea is in the best interest for the client. It is never recommended to show up to court without a lawyer and plead guilty. Even if you feel the prosecutor has a strong case, that does not mean a conviction is inevitable! Despite some recent improvements in California law when it comes to drug crimes and the incarceration of non-violent drug offenders, many good people who contribute to their community will find themselves facing a drug charge for possessing a controlled substance or narcotic or possessing such drugs for sale. Some of the most common drug charges filed in the Los Angeles Superior courts include Health and Safety Code sections 11350 (possessing a controlled substance), HS 11351 (possessing narcotics for sale), HS 11352 (transporting or selling a controlled substance), HS 11377 (possessing methamphetamine) and 11364 (possessing drug paraphernalia). Sometimes cops engage in sting operations where they pretend to be a buyer or seller of drugs. Officers actually pretend to participate in, or create the crime, and then they arrest the unfortunate person who engaged with the officer. Other times officers cut corners in the law and find drugs or paraphernalia by executing an illegal search and seizure. This can arise when an officer lacks probable cause, doesn’t have a warrant or obtains information leading to the location of contraband by violating an accused’s constitutional rights. Often times, an accused will be found with drugs for personal use but an officer will incorrectly assert that the drugs were possessed for sale due to the amount of drugs and/or the fact that the accused had a scale. Cops sometimes fail to acknowledge that an addict will oftentimes purchase a larger amount of a controlled substance for personal use (so as to avoid the inconvenience and danger of buying drugs everyday) and will bring a scale to measure the weight of the drug to ensure he or she is not being cheated. Having a scale and possessing a larger amount of a drug does not necessarily mean the drugs were purchased to sell. A good lawyer will investigate possible defenses such as entrapment, unconstitutional search and seizure, wrong identity, etc…. Many people are not aware that in California many misdemeanors and felony convictions can be dismissed under Penal Code section 1203.4 after probation has ended. Having to report old or recent criminal convictions can be devastating when you are searching for employment. While not all convictions can be dismissed, many can! If you successfully completed probation, did not serve a prison sentence (jail sentence one year or less is not the same as a prison sentence), you are not now currently on probation or charged with any other offense, and your charge is not listed as one of the exceptions in PC 1203.4, then chances are you are eligible to petition the court to withdraw your plea of guilty or no-contest, re-impose a not guilty plea, and dismiss your conviction. If you completed probation with no violations, you may be eligible for what is called a “mandatory” grant of your Petition to Dismiss. This means the judge has no discretion to deny your request, and he or she must dismiss your conviction. In other cases, a judge may have discretion, but a good lawyer may be able to persuade the judge that you are reformed, unlikely to re-offend and that the interests of justice would be served by dismissing your case. A dismissal under Penal Code section 1203.4 will not restore gun rights or necessarily impact your immigration status in the United States, but usually a dismissal of your conviction does have a positive effect on one’s career, job search, and reputation. Most of the time, people arrested for theft related offense such as shoplifting, petty theft, grand theft, receiving stolen property and check fraud, are kind, conscientious people who made a terrible mistake or experienced a lack of judgement. Of course, sometimes police arrest the wrong person or witnesses mis-interpreted what they saw. 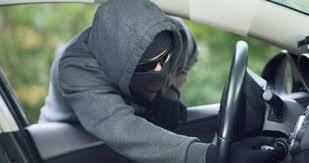 While many theft offenses involving property valued at $950 or less is filed as a misdemeanor, a conviction for a misdemeanor theft crime can have devastating effects one one’s professional career. This is because a theft related offense is considered a “crime of moral turpitude”. A person with a real estate license, nursing license, mortgage broker’s license, contractor’s license, etc., or someone who is applying for such a license is in danger of facing an administrative hearing where the Licensing Board will determine if the licensee can keep his or her license or if an applicant will be approved for such a license. Many times, depending upon the facts of the case, and the accused’s criminal history, a good attorney can convince the prosecutor or District Attorney to reduce the charge or dismiss it altogether with an offer of formal or informal diversion. The judge also has the power to offer certain types of diversion such as military or mental health diversion. After proposition 47 passed in 2014, many theft crimes, such as allthefts of another’s property worth $950 or less can now only be filed as a misdemeanor. Since every case is so different, it is always wise to contact a good criminal defense lawyer to see what options may be available to you. Attorney Ann Gottesman has successfully represented many clients facing theft charges and is happy to provide you with a free and confidential consultation.